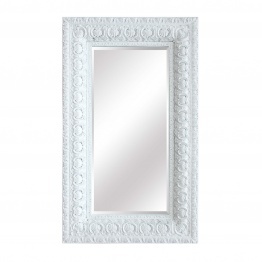 La Maison Chic offers a wide range of designs in mirror category. You can find interesting pieces of mirrors to suit different interior styles and preferences.Mirrors areone of the most eye-catching objects in every home. It is definitely a must-have thing in any interior. It is because of the undeniable habit we have with mirrors,any interior lover cannot let go off of the mirror wherever we find them. They add light and charm to every room. Mirrors are generally made out of glass. Back side is definitely kept metal and the other side is placed with a good quality mirror. Mirrors too are made from different materials and used for varying purposes. Plane mirrors- This type of mirror has a planar or flat reflective surface. A virtual image is produced that is about the same size of the object as being reflected in it. Previously, plane mirrors were flat pieces of brass, copper, precious metal or brass. The plane mirrors in modern times is seen to use a thin piece of plate glass. This is done to protect the surface from getting bad. Spherical mirrors -Spherical mirrors include both convex and concave mirrors. The glass is curved inward in case of a concave mirror. In this type of mirror, the reflection is enlarged. For closer look and better precision, such mirrors are used. Convex mirrors on the other hand bulges outward. The image appears to be smaller than actual. One would see such mirrors being used in parking lots so that it enables you to see around. Two-way or one-way mirrors- These mirrors are transparent as well as partially reflective. One side is coated with a thin reflective material. The coated side reflects and brightens up the entire room once it is exposed to light. One would see these mirrors in interrogation rooms, security observation decks and experimental research. 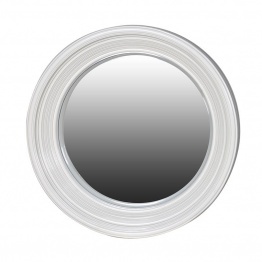 Silvered/ Silver mirrors- There is a process in making this type of mirror. Silvering includes deposition of a layer of metal silver on glass. This is done because silver has the most degree of reflectivity. It is because of this that it reflects wavelengths of light which results into high quality of mirror. One would see such mirrors being used for decorative purposes like in furniture. 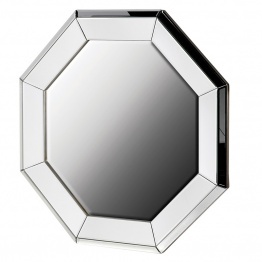 There is wide variety of mirrors available at La Maison Chic. If you talk about French mirror, then you can expect traditional decoration on mirrors. For modern look, go for small mirrors that fit perfectly in small spaces. Venetian mirrors are suitable examples of good quality mirrors with beautiful ornamentation. Rococo mirrors and overmantle mirrors are excellent for decorating your home in the most chic and sophisticated manner.